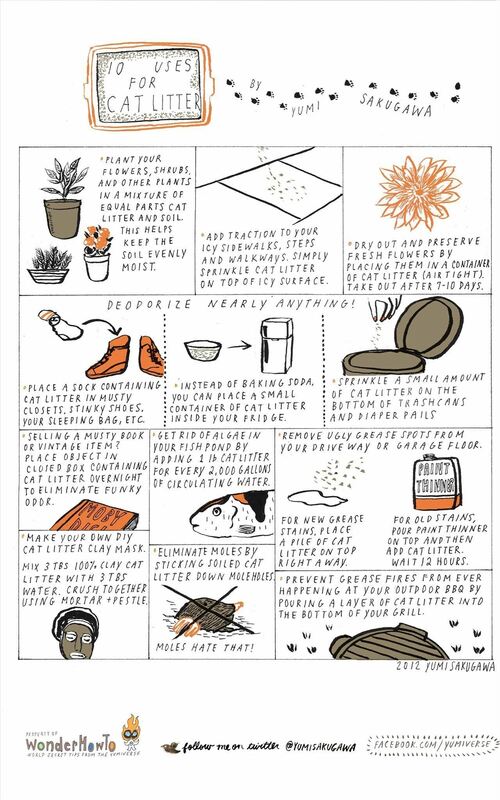 Whether or not you have a feline companion at home, a bag of cat litter makes for a handy household staple that can help prevent grease fires, add traction to slippery icy steps, remove grease spots, preserve your fresh flowers, and clear algae from your backyard koi pond. Not surprisingly, cat litter is perfect for deodorizing a variety of things, such as your musty closet, smelly shoes, wastebasket, refrigerator, and old books. Got your own purrfect uses for cat litter? Share with us!